Just recently I got asked "How does the Goddess and the God fit into the Divine". So I decided to do an article on it here at my blog, to explain it as best I can in regards to how I see it. It is my hope that this simple way that I explain it, makes some sense in a way that is clearly understood. Another name for the Divine Godhead to me is "Limitless Light", it is the beginning of all things, the Alpha and Omega, the Eternal Flame, the Source Of All, and there is apart of this in all of us and in everything. This Limitless Light we call the Divine is nether Male or Female and yet both. Just like myself as a Male, I have both Male and Female traits within, so does a Female human being have also Male traits within. After all "God" as in the Divine Limitless Light manifested us out of it`s image. In other words everything you see around you in this physical world which includes the whole universe, is a manifestation of the Divine. The spirit or true higher self that is in all of us humans and all things. Is a part of the Divine that keeps the living physical alive, for without that, all would die. The Divine made manifest which is the physical dimension is made up of four elements, Earth, Air, Fire and Water. Our Zodiac signs fall under one of these four elements, two of these elements are female traits and two are Male traits. Everything we see that is living in this physical realm is divided into both Male and Female. Only when the pure Divine Limitless Light is itself un-manifest, is both Male and Female in one. When a Male and Female human being come together in sexual union, at the point of climax is said to be the nearest experience to the closeness of the Divine, also through this creation may come about. There are a few dogmatic religions that say that "God" is an all Male God, they are in error. The same can be said, if a religion believes God is all female, they also are in error. We can not call the Divine Limitless Light in it`s purest form all Male or all Female, for the Divine is in perfect balance. While we humans are here in this physical manifestation, realm, dimension or whatever you choose to call it. We should strive towards balancing out the elemental forces within us all. When someone decides to walk the way of the Left Hand Path or the other extreme, the Right Hand Path, ether way, these humans are unbalanced. There needs to be a balance between to two, and in the Tree Of Life this is called the Middle Path or Pillar. For many years the world has been under Male dominance and a Male God, however in recent times there has been a shift toward feminism. This is all good and well, however there is a strong worry that it might go all one way again. Then through time this could go back and forwards like a winging pendulum, humanity as a whole needs to learn equality and balance. As the Female aspect is just as much part of the Divine as is the Male. There is still a long way to go for humanity as most Churches of the Christian Religion will not except females in leadership roles. After saying this, it brings me to my next part of this article. A lot of these dogmatic religions will say that all other religions follow or even worship many different Gods and Goddesses, unlike them who follow the one true God. This is due to there lack of deep knowledge, understanding and ignorance. When someone may try to explain it to them they become very closed minded. As it is hard for us human beings here in the physical realm to comprehend the Limitless Light we call the Divine Godhead. We see it in it`s both Male and Female aspects, just like this physical realm, the manifestation of the Divine called "Creation". Also in order for us to relate to the pure Divine we use objects to help us to focus on this universal force of Limitless Light. All the different Goddesses and Gods are different traits of the one Divine Godhead. Some may say that all the different Goddesses and Gods are different personalities of the one Divine Godhead. However, I do not like that description as it makes me think that the Divine Limitless Light has a personality disorder. Another way of putting it, is that all the Goddesses and Gods are different ways of seeing the one pure Divine Light, or different expressions of the one. As human beings we all see things from a different or another perspective. Not only this but different cultures used different names to explain the very same Divine Light. Earthly Christianity was no different, in regards to this, they used many names to describe the one Divine source. Some examples would be, Adoni, Shaddi El Chai, Yehova, Elohim, El and so on. In order for us human beings to have a personal connection with the Divine Godhead, we name it, which really is a label we put on it. Then we have divided the Divine powers into Male and Female images. Then we are able to honor the Divine Limitless Light in it`s Male and Female aspect. 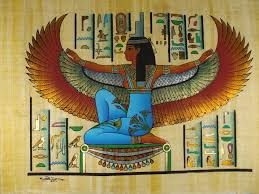 Really it is honoring the Divine in is Male and Female manifested state as a Goddess and a God. 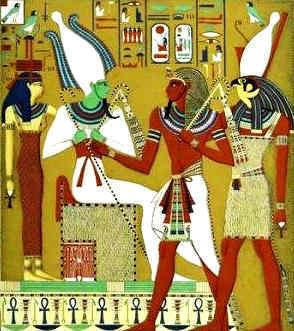 Just like everything else is in it`s manifested state in this physical realm as Male/God and Female/Goddess. Say I wished to have a certain quality in my life, I would call on a certain God name or Goddess name that specialized in this quality. In reality I am calling on that aspect of the Divine as a whole to work in my life. So it is my hope that you now can understand it a little bit more. If you have any questions and wish to ask me, please feel free to leave me a comment on Google + under the post of this article as this is where I will see your comments more easily. I will be only to happy to answer your questions on this article if I can.